Spruce up your promotion with this handy marketing tool! 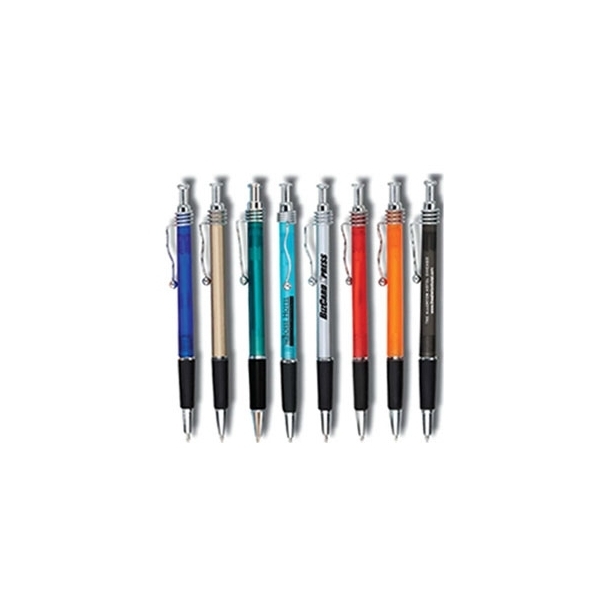 Featuring sleek chrome accents, this retractable ballpoint pen has a spiral clip design, black rubber grip, metal parts and a refillable medium point black ink refill. The barrels are translucent except for the silver and the gold. 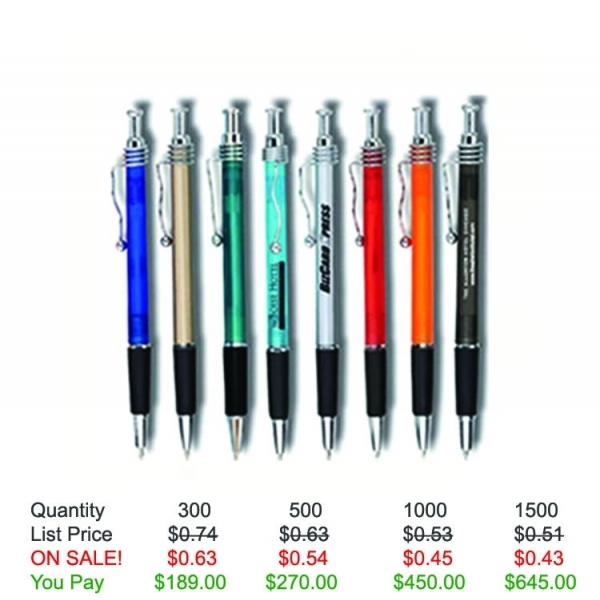 A great promotional giveaway for any industry, customize this colorful click pen with an imprint of your company name and logo and hand them out during your next event! 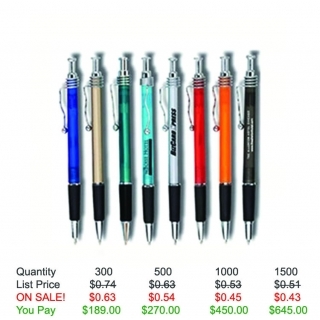 All our pens comes with Free Artwork, Free Setup, and Free Shipping! 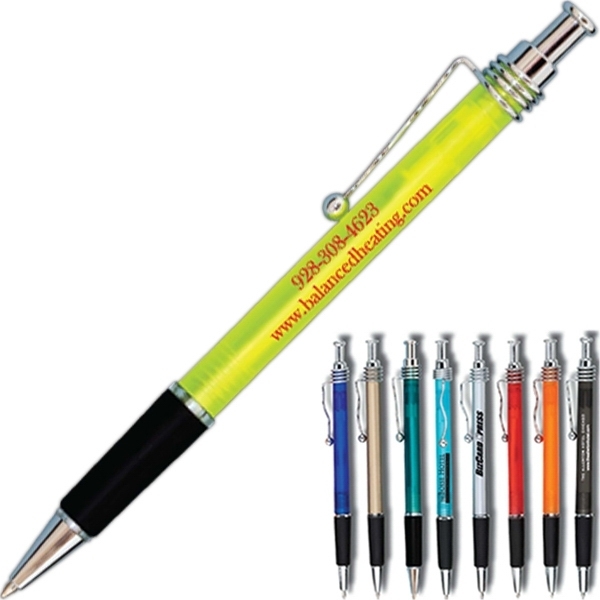 Item Color: Translucent Yellow, Dark Blue, Gold, Green, Light Blue, Silver, Red, Orange, Smoke Barrel. Imprint Location: Behind Clip: 1 3/4 x 1/2 or Below Clip: 1 1/4 x 3/4. Imprint Size: 1 1/2 X 5/8 - 1 1/4 x 3/4. Shipping Weight: 12 lbs. per 500 - FREE Shipping!